It is never too late to have the smile you always wanted, whatever your age. 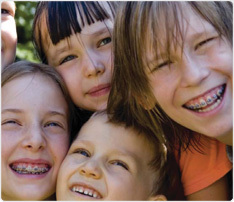 We provide a range of braces that are virtually invisible so that you are the only person who knows that you are having orthodontic treatment. The beautiful teeth and smile that you always wanted and will have for the rest of your life. Straight teeth and healthy gums that are easier to clean and more likely to last your life time. Healthy jaw joints which can help to reduce headaches, migranes, jaw and neck pain. An attractive smile is a wonderful asset which will contribute to improved self esteem and self confidence.